Today, we are starting with a situation, where anybody is willing to express his / her thoughts about any particular topic, to the interested bunch of people out of hundreds. Just imagine if you are standing in a crowded hall, where the hundreds of people are taking part in different discussions related to unemployment, politics, business, advertising, religion, politics, health, android and so on. Here, the most worrying factor will be to figure out the persons, interested in your topic. You may start yelling the words out, in the hope that any of them will hear you. Actually, you are looking for any special tag placed on the people’s head, indicating their interest. You can also opt to ask each of the people about their interest, which is again near to impossible. Under these circumstances, is there any way to discover the individuals of your interest by your own?. We think you need to read this to the end, to understand the Hashtag 🙂 . Now, If we say, your wish about having special tags onto the people’s head has came true. You will be feeling much more relaxed now, as using the identical tags you can easily discover the people, interested to listen your topic. Now, into your imaginations. just replace that crowded hall with the social media places / websites and the special tags with the hashtags. Now, the equation has changed, you can say that the people at social media places are taking part in the discussions related to #unemployment, #politics, #business, #advertising, #religion, #politics, #health, #android. Now using the related hashtag for your topic, you can easily figure out the interested audience to listen your thoughts about that particular topic. If Keyword is for the search engines then the Hashtag is the further categorized keyword for the social media participation or to find the on going interactions. Hashtag can be used within the body or at the end of the status update, by placing “#” before the keyword or you can say word. 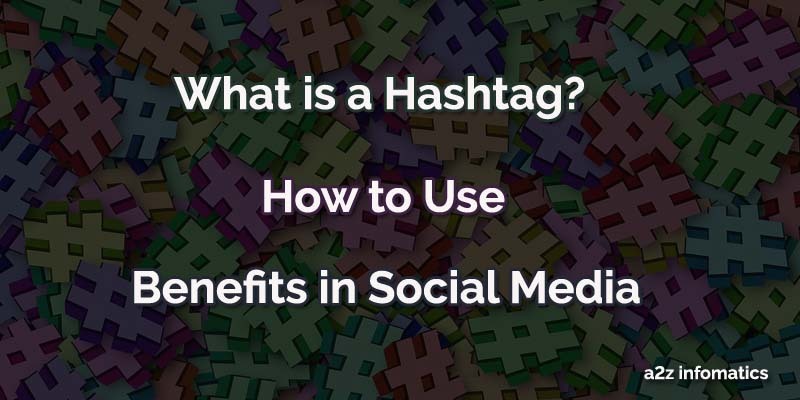 In simple words, the Hashtags are the Keywords used to find any on going interaction or to participate in any new / on going interaction at social media platforms. The Hashtag / Hashtags can be added to the text, images or the videos, in the status text at social media platforms. Things to Remember while using the Hashtags. 1)- The Hashtags can be of one word (#business) or many words (#business_offers) or (business_offers_daily) and so on. Just make sure that the underscore sign “_” has been placed between all the words. 2)- Use the Hashtags carefully and related to the content, otherwise they will be treated as spam. 3)- The Hashtags has to be short and clear to the point. Ignore using more than two in a single status update. For your easy understandings, below are some examples of the hashtags at different social networking websites. Benefits of using the hashtags? Same like the Keywords usage in the SEO (Search Engine Optimization), Hashtags optimize your content on the Social Networks, which in return make it more visible and place it as a part of any trending interaction. Hashtags always help in building the social following. If you have the specialization in any field, and using the hashtags in your social activities efficiently, people will find you using the related hashtag. By monitoring the trending hashtags related to your offerings, you can dive into the associated opportunities. You can discover any customer in need of your offerings or find any unhappy customer with your competitor. Using hashtags, you can find the ongoing interactions versus the keywords which will continue for the longer time period. Do setup an alarm in your preferred social media tracking tool, on the discussions or interactions you desire to follow. By setting or promoting any specific hashtag related to your business, you are actually branding your business with the help of hashtags. For instance, you can create and use a hashtag #yourcompanyname_discount_offers, using the same hashtag while communicating with the customers, the customers can simply follow that hashtag to remain updated with the latest discount offers by your company. As the Hashtags gives you an idea about what the people are talking currently, picking up the points from their talks, you can extract new content ideas or unique product ideas to increase the viewer-ship or sales. 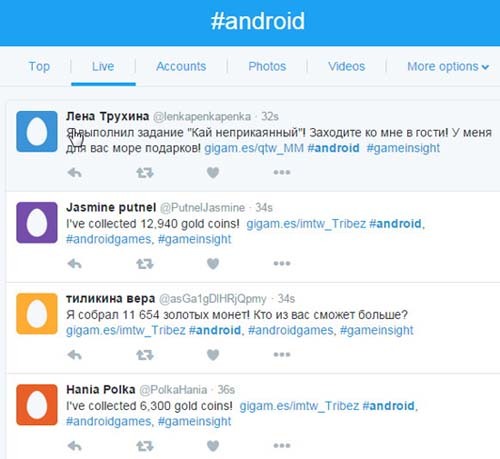 By using the hashtags, you can easily keep an eye on all the current interactions, your competitors are involved in. On the other hand, you can also know what the society is feeling about them. Actually, the Hashtags put together the interactions around subjects. 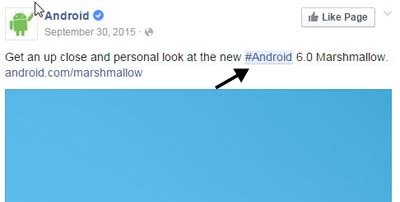 For easy understanding, If we go to the Facebook and search for the #android (hashtag) in the search box, it will deliver the latest interactions / conversations related to Android. You can save the results for later view. If you like, you can find and follow any individual, even you can answer to any of the question asked there. Once you get inside, it will feel like you have entered to any crowded place of people, with the same frame of mind. First of all determine any appropriate word or words inside the social status update. Put the hash sign (#) before that word. Congo! You have done it. Don’t you think, it’s simple 🙂 . In addition, you can put the hashtags anywhere you like, in the status title, body of status, or at the end of the status / post. Social Media Networks supporting the hastags will automatically take the words followed by the # sign as a hyperlink. Important: Nobody owns any of the hashtag, Anybody can use any of the hashtag. What will happens after clicking to the hashtag? After clicking the hashtag, you will be landed to a result page showing interactions / discussions of the same subject as of the hashtag. 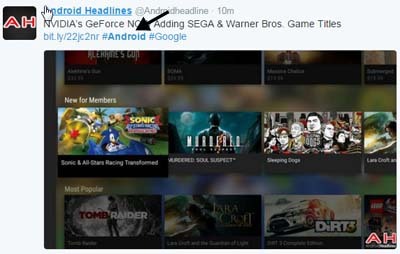 For clarifications see the image below (#android @ twitter). Which social networking websites supports hashtag? 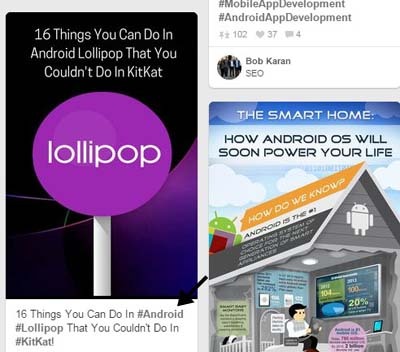 At present, Facebook, Twitter, Google+, Youtube, Instagram, Pinterest and Tumblr supports hashtag. How to find the Hashtags? Move to any Hashtag supporting Social Media Website, Look for the search box / tool there, type the hash “#” sign followed by any desired keyword / word in the search box. Now, you will be landed to the result page showing the interactions related to the hashtag. Rather than of shouting in any crowded place, start inserting hashtags in the social updates / promotions. Using the hashtags, you will discover the right audience to connect with. We hope, now the hashtag mystery fully made clear to all the readers of this blog. We don’t want any of you searching for the same question again, What is a Hashtag 🙂 . If you feel, anything still left related to the hashtags, feel free to ask the same under the comments section below. We will try our level’s best to answer them as earliest as possible. That’s all we have for now, Stay Blesses and keep hashtagging.